I wore glasses from ages seven through fourteen. Then I got to switch to contacts and I wore them up until last August. I have a degenerative issue called pinguecula. It’s a slightly raised thickening of the conjunctiva on the white part of the eye, close to the edge of the cornea. I’m not sure why I got it, honestly. It could be genetic but triggered by UV rays or wind. Either way, wearing contacts can irritate it so I now wear glasses all the time! After learning that I’d probably have to kiss contacts goodbye, I ordered way too many glasses. Like, 10-12 pairs. Don’t worry, I returned most of them. But I figured I could start a series on my blog since I’ll most likely to trying out new companies all the time. Keep in mind that I don’t really care if any of these companies have virtual try-on because it just isn’t the same for me. Virtual try-on never really seems to give me the confidence to spend $130+ so I didn’t include that in any of my pros or cons. I had always ordered my glasses from Warby (before I wore them constantly) and so I obviously was going to try them out again. I’ve ordered Durand ($125), Reilly Sunglasses ($150), Chamberlain, and Beckett. Their frames start at around $95. They have multiple locations so you can try ALL the ones you want! They offer free home try-on. You can select 5 frames that will get sent directly to your house for you to try out (with clear, non-RX lenses). The home try-ons arrive quickly! Shipping and returns are free. You can return within 30 days of receiving. Their shipping process is very easy. This isn’t a big deal but just so you know, if you have a RX like me (aka I’m pretty blind), then you will want to pay another $30 for 1.67 High Index Lenses so the lens isn’t super thick. You can’t choose rushed or expedited shipping. Their site says that it takes 7-10 days to process a single vision pair (progressive takes longer). Sometimes I can’t remember which ones I’ve tried on at home. And then I worry I’m just constantly trying on the same pairs over and over and over. A lot of people use Warby for glasses so if you’re looking for a pair of really unique glasses, maybe use one of the companies below! I found Classic Specs via Instagram and really love this company. 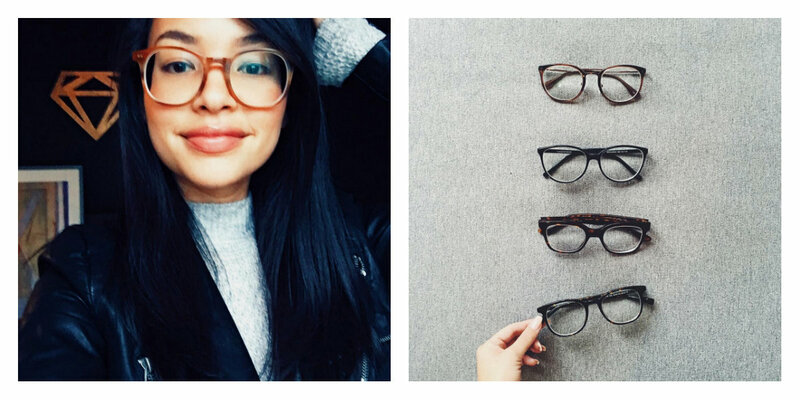 Their Waverley frames are the ones that I wear every day and constantly get compliments! Here’s a photo of me wearing them. Their frames start at around $89. They are retro inspired but to me they just seem timeless and classy. They offer free home try-on. You can select 6 frames that will get sent directly to your house for you to try out (with clear, non-RX lenses). They list all the frames you’ve tried on at home under your account settings. I often can’t remember if I’ve already tried a pair on so this is very helpful. Free shipping and returns. I’ve never had to return a pair of glasses with Classic Specs so I can’t speak to the return process! They aren’t as mainstream as Warby which means there aren’t any stand alone locations but there are some pop-up/in-store locations if you’re nearby! You can’t choose rushed or expedited shipping. Their site says that it takes 5-7 days to process a single vision pair (progressive takes longer) and 3-5 days to ship. I think I discovered Fetch eyewear on Instagram as well! I own a pair of their Tracy in Bittersweet frames and really love the color + style. Here’s a photo of me wearing them. 100% of Profits to Animal Rescue !! I love this. Fetch also lists all of the “home try-ons” you’ve ordered so you can see which ones you’ve tried, loved or didn’t like. According to their website, you can contact them for rushed shipping (I have not done this). Their regular shipping is free. They offer a lot of pop-ups where you can try on some of their frames but they do note that they might not have the exact pair you’re looking for so call ahead! They need to come to Ohio! I did have to return a pair of sunglasses to Fetch. It’s not that it was difficult but every other company that I had to return glasses to felt a bit more professional. I believe I just packaged it up myself and included a note to them (I didn’t have to request a return form or notify them) but returns are free. No easy way to choose rushed or expedited shipping. Prescription lenses take 7-12 days to fulfill and ship. I found out about BonLook from Diana! I have ordered many frames from BonLook (but unfortunately my RX was wrong so I’ve had to return them all). I do plan to order more in the future! They seem a bit higher quality than the first three companies above. Queen of the cat eye frame, BonLook also has a lot more personality. Their feminine lenses are to die for. Lenses start at around $99. Very responsive via email + updates about your order. Free shipping + 30-day returns for orders over $60. You can expedite or rush your order. They have a wishlist feature in your account settings which is AWESOME. They often have sales so keep your eye out! You can’t try these on at home. unfortunately. It made me nervous but if you have the cash flow, order a few pairs and return the ones you don’t want. No locations in the US (only Canada) but maybe that’s a “pro” if you’re in Canada! 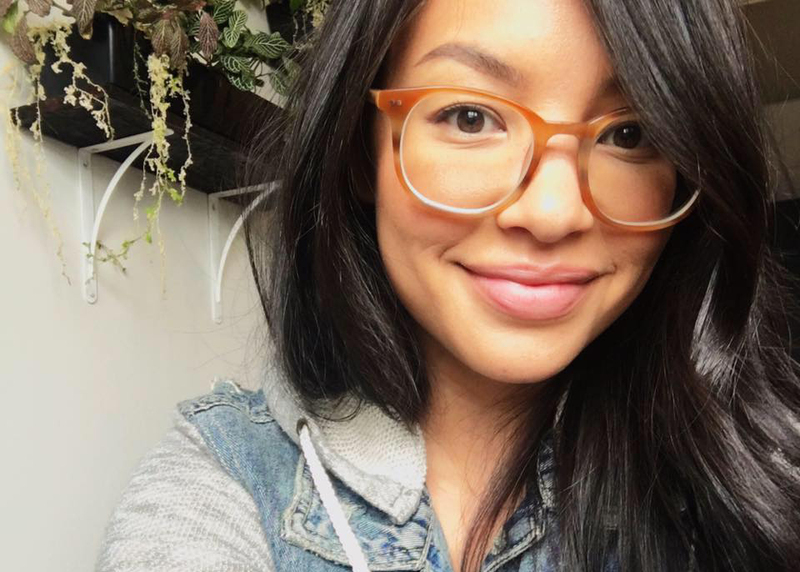 I specifically order glasses from Glasses.com when I need them fast or when they’re having an amazing sale! Both of my RX sunglasses are from Glasses.com: Armani and Armani. Generally the prices are all over the place but you can find frames for $60-$75 (not including lenses). Glasses.com, however, does run sales for “free lenses” pretty regularly. That is when I order classes from them! It’s so cheap and even the High Index Lens fee is void. Amazing. They offer free home try-on with your prescription lens for two weeks on some frames. This is great because you can actually try out a pair (and see out of them) for awhile. Either ship back or keep and get charged! It obviously depends on the brand but the quality is the best of any place I’ve ordered. They allow you to rush or expedite your frames (2-3 or 1-2 business days). Just remember that this is shipping (not processing). They will need to fulfill your order and then ship. They offer many, many designer brands. Generally their prices can be more expensive. Phew, that’s a lot! Hopefully it’s helpful or maybe you’ll discover a new eyeglasses brand to check out! I really love the flexibility, low pressure and variety. I tried getting a pair of RX sunglasses at Lenscrafters and it just doesn’t compare. My options were limited and I’d end up paying $400+! My next reviews will be for: Clearly, Black Optical, Oliver Peoples, EyeBuy Direct + any other requests you might have or want! Yes! I love this! I am looking for new sunglasses soon and I’ve been thinking about trying out Bonlook or Warby Parker – I had never heard of the others so I will try them as well!! Ah awesome! Good luck – it’s fun to shop for an accessory that you use so much! Thanks for sharing.. I was just talking with my brother about ordering glasses online. I have a super high RX (as in – 8) so glasses are usually very expensive for me because of the lenses. And I was always worried about ordering online, but sounds like there are some good options. This post could not have come at a better time! I just got a new prescription and am in the search for a new style of glasses. I just checked out Fetch and saw they are based out of my city, Portland! I think I will check out their new shop this weekend. Oh I’m so jealous! We will be out that way in September and I will definitely check it out. Let me know how it is! I saved this post because I’m making an eye appt this week. Thank you for a great and super detailed post. You’re the best! Great! Buying glasses online is a common activity these days which we go through. A person should buy the glasses after getting all the information required. People are constantly looking for information regarding glasses and other stuff. Learned a lot from this and surely other readers would also love this.